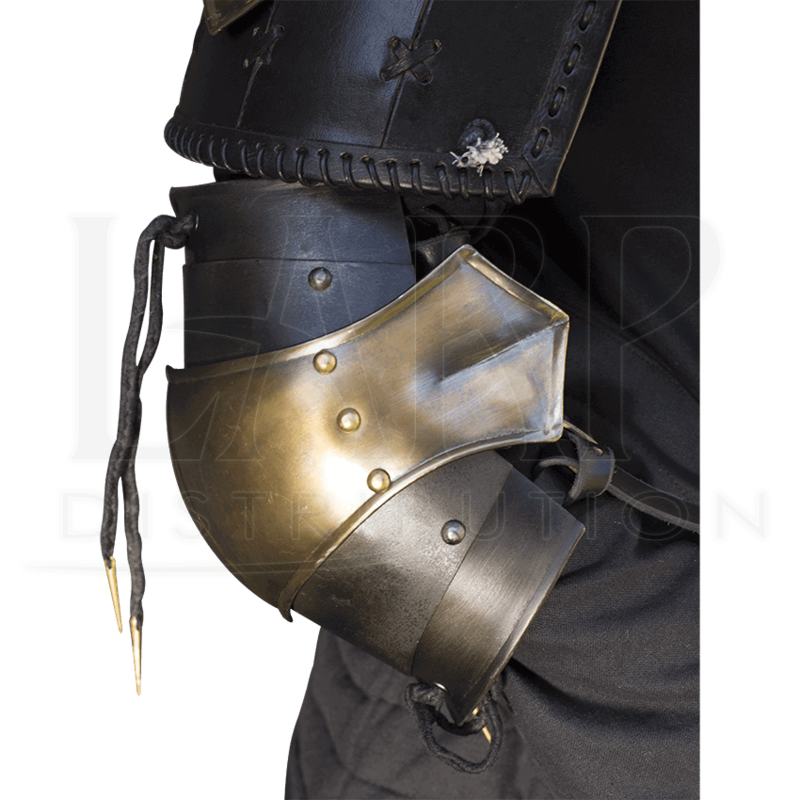 The Ratio Elbow Armour comes as a set of steel elbow cups, also called couters, that are designed to protect the elbow joints. These functional elbow cups are rounded with reinforced ridges and decorative steel rivets. A half-rerebrace protects the upper arm while a half-vambrace protects the upper forearm below the couters. Leather cords are used to attach the brace to a gambeson, while three top-grain leather straps secure the elbow armour at the bicep, elbow, and forearm to keep the piece in place. The Ratio elbow guards are made of 1 mm thick galvanized mild steel and top-grain leather straps and fittings. This arm armour is built to withstand the stress of LARPing or reenactment. 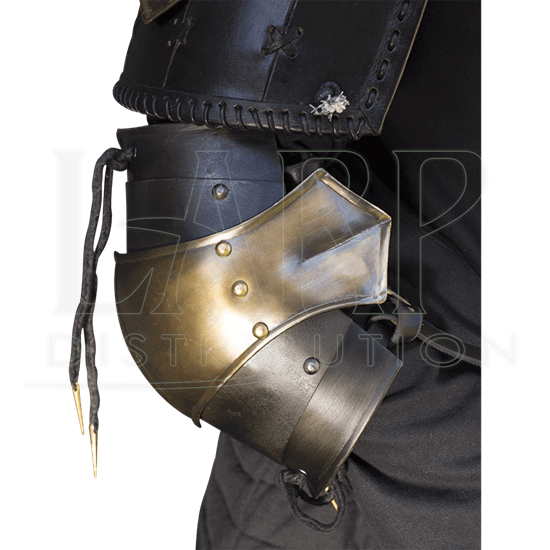 The Ratio Elbow Armour is licensed ConQuest armour. ConQuest is the biggest LARP gathering in Europe. If armour becomes wet, be sure to dry it thoroughly as soon as possible. About every six months, the metal should be wiped clean and then lightly oiled or waxed. A hard brush may be used to remove dirt from leather pieces, followed by washing with a leather soap and conditioning with an appropriate oil or polish.